I reloaded my cf-30ctsazbm with windows 7. it previously had dual partition of 7 and xp. well that problem solved after restarting. but i can not get the touchscreen to do anything, other than when i touch the screen the pointer goes all the way to the right of the screen. nothing showing up in device manager to do with touch screen also. Did you look under hid in device manager? If it shows two hid devices then you have a tablet bios. What bios and ec are you running? MK1 did not have Tablet/touchscreen shown in the bios. W7 needs a tablet bios. If cursor disappears from the screen then you may have a bad touch panel. If it stays on the screen then check the reset box in W7 calibration. Let's not play with drivers (not needed on W7) until we confirm the bios and ec. [CHECK THE RESET BOX]Clears the registry of old TS data. [CALIBRATE]As stated above if cursor disappears you have a bad touch panel. 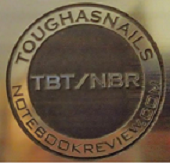 when i purchased this toughbook the touch screen was working properly then stopped all of a sudden. now when i try to use the touchscreen the cursor moves to the sides of the screen and what looks like a mouse pops up on the screen. Looks like a tablet bios from your hid information. Did you add a touchscreen driver? I would delete it. W7 has a tablet driver installed. Hold switch down for thirty seconds at least twice to clear confusion from mobo. Computer won't start. "Suddenly quit" means I'm thinking you need a touchpanel. They're like magic and nice and bright. MK1 had a twitchy cable (FPC) to the lid mounted TSPCB. De-laminated over time. PM with questions as I don't always read everything. bugdude ...where do you live...approximately. Do you have a Linux program? Sometimes helps to diagnose problems. We want to confirm a bad panel. Almost sure that it what it is. There are a few people that can fix a bad panel. I wanted to get an idea who you lived closest to.